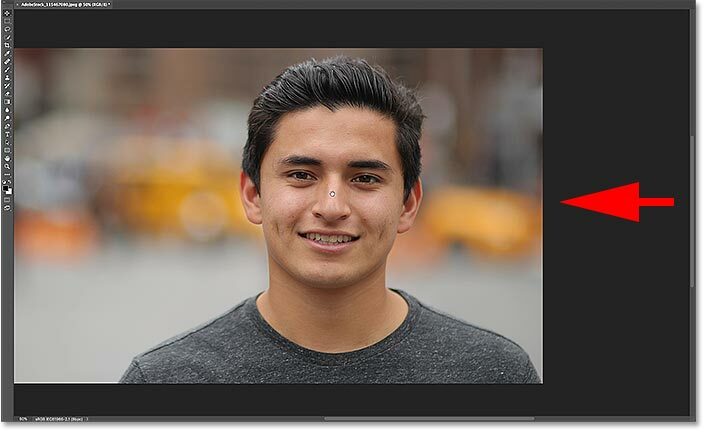 Learn how to use Overscroll in Photoshop CC to unlock your image from the document window so you can scroll and pan the image around freely, even when you're zoomed out! Part 4 of our chapter on Navigating Images in Photoshop. 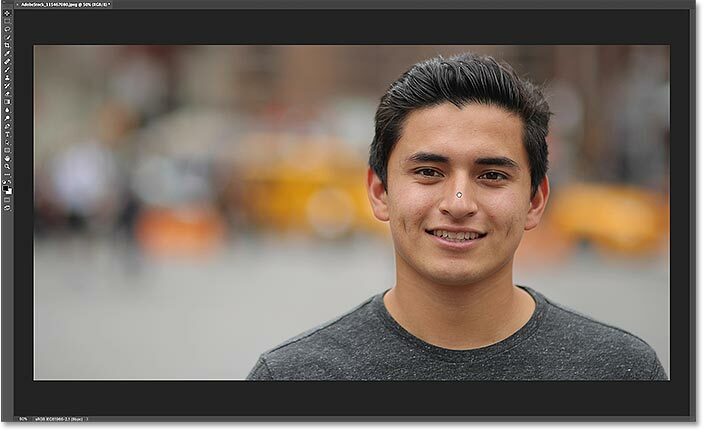 In this tutorial, we'll learn how to use a great feature in Photoshop CC known as Overscroll. First introduced in Photoshop CC 2014, Overscroll lets us scroll an image inside the document window even when the entire image is visible. 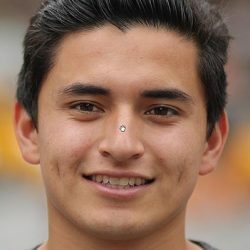 Normally, Photoshop only lets us scroll an image when we're zoomed in close enough that the image becomes too big to fit on the screen. But thanks to the Overscroll feature, we can now scroll an image at any zoom level. Let's see how it works! To follow along, you'll need Photoshop CC. You'll also want to make sure that your copy of Photoshop CC is up to date. 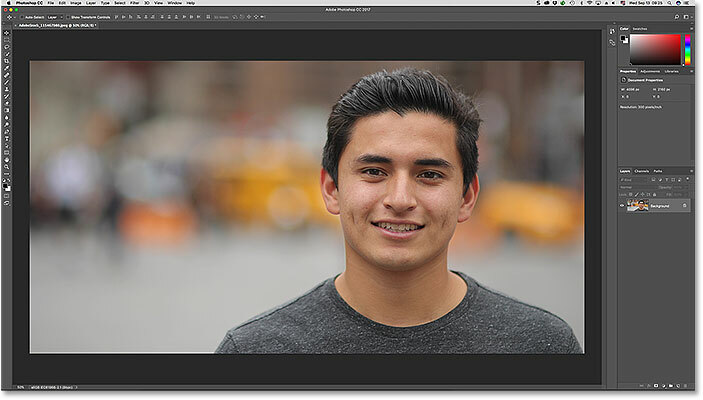 And for best results, you'll want to be familiar with how to zoom and pan images in Photoshop. This is lesson 4 of 7 in Chapter 4 - Navigating Images in Photoshop. Let's get started! The Hand Tool is located near the bottom of the Toolbar. Normally, to scroll an image within the document window, all we need to do is click with the Hand Tool and drag the image around. But by default, if we're zoomed out far enough that we can already see the entire image on the screen, Photoshop won't let us scroll it. Instead, it locks the image in place in the center of the document window. 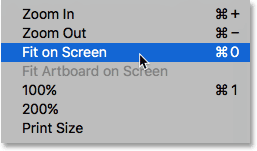 By default, Photoshop won't scroll an image when it already fits on the screen. 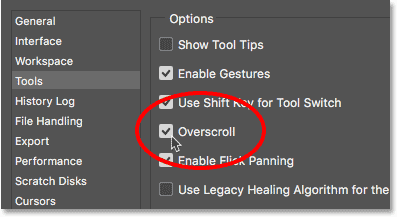 The Overscroll option is located in the Tools section of Photoshop's Preferences. Use the checkbox to turn Overscroll on or off. Photoshop's Overscroll feature unlocks the image from the center of document window, allowing us to scroll the image around even when we're zoomed out. With Overscroll turned on, simply click on the image with the Hand Tool as you normally would and drag it around with your mouse. You'll find that even if you can already see the entire image on your screen, you can still move it around freely to reposition it. With Overscroll enabled, Photoshop lets you freely scroll and pan the image at any zoom level. And there we have it! In the next lesson in this chapter, we'll learn how the amazing yet hidden Birds Eye View feature in Photoshop lets us instantly jump from one part of an image to another when we're zoomed in!